Its 3 nameservers are a.ns.myregisteredsite.com, b.ns.myregisteredsite.com, and c.ns.myregisteredsite.com. 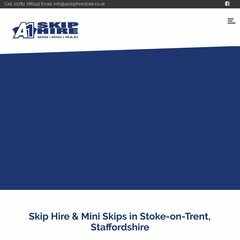 A1skiphirestoke.co.uk's IP address is 209.237.151.10. It is hosted by Web.com Inc (Georgia, Atlanta,) using Apache/2 web server. A ping to the server is timed at 46.4 ms.